Is your roof leaking? If you answered yes, you need to act fast! If you answered no, don't wait until the damage is done! Your home's roofing is exposed to many damaging elements & with time, will need a little love. So be proactive, and take care of your roof before any issues arise! It’s normal to have to replace it before damage is done. Finding a competent roofing contractor isn't always easy, though. Getting a fair price for your roof renovations from contractors can also be a struggle. That's why we've rounded up some of the best contractors in the Greater Toronto Area, Ottawa, Greater Montreal, and many other areas to help you get your roofing work done right. How long does it take to replace a roof? Quotes at a fair price! Get help from a Renovation Advisor now! When is it time to renovate your roof? Before it's too late! Your roof is vital to your home and it must be replaced as soon as it no longer fulfills its role in protecting against infiltration. Structural damages can be caused by water damages, harming your home's overall strength. When the time comes to change your roof, you'll need to get in touch with a qualified roofer. 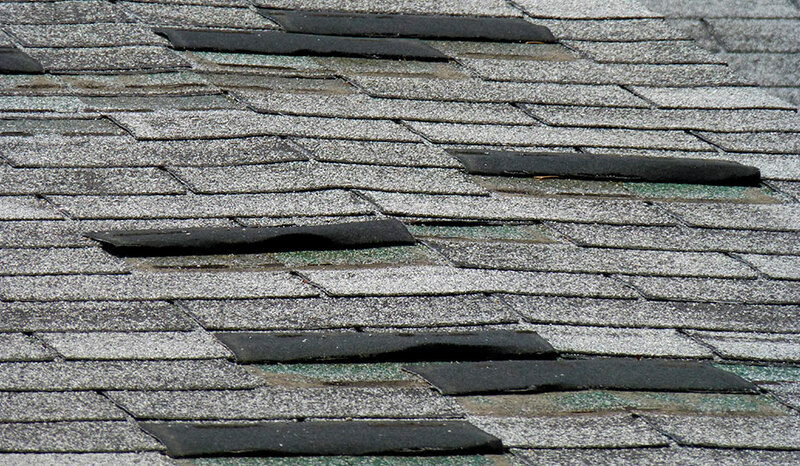 As mentioned above, you'll need to check your roofing's state. You'll need to make sure there isn't any debris on the roof, and that all joints are properly sealed. Also, make sure that there aren't any odd stains or any organic matters or signs of mold. Furthermore, verifying your roof's state isn't enough. You'll also need to take a look at the attic to ensure there isn't any excess moisture, that the roofing structure is sturdy, and that insulation materials are properly installed. How much does a roof replacement cost? So many elements come into play when it's time to assess your roof's replacement cost. This includes its incline depth, the number of slopes, which materials are being used, how high the roof is, and how easily accessible it is. For instance, roofing with a low incline level on a typical bungalow can start at as low as $5,000; and a two-storey home with a few slopes can start at around $9,000. Though, depending on materials used and the size of your home, roofing costs can go up to upwards of $60,000 (metal roofing on a luxury home)! We've put together a few tables to give you a better idea of what it might cost you to get roofing done - whether it be for a house or multi-unit residential buildings. 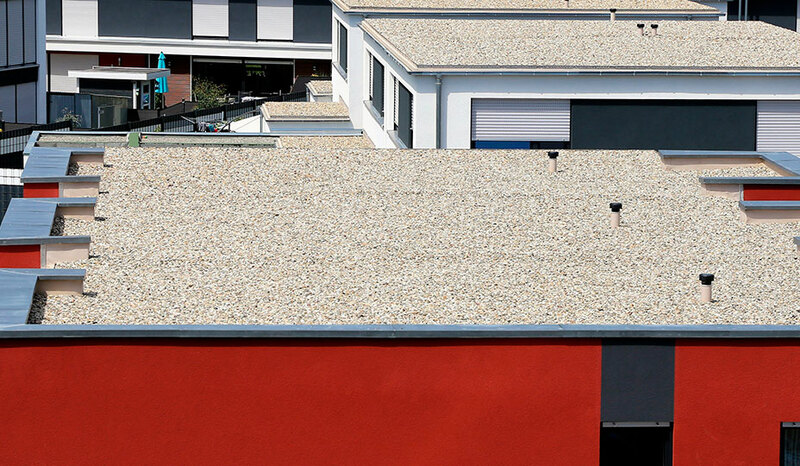 Which roofing materials should you choose? Pitched roofs are those with the most available roofing options. Flat roofs, on the other hand, have less available options since their roofing materials aren't visible to passersby. Asphalt shingles are the most common roofing material due to their low cost, ease of installation (by a roofer), and almost endless colour range. Their typical lifespan can be of anywhere between 15 to 25 years. Even though asphalt shingles are most popular, they don't last as long as other roofing materials. 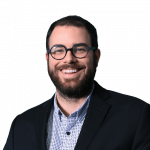 However, they remain low in cost which makes them easier to replace and have less of an impact on your financials - especially compared to metal roofing in more historical districts. To ensure your shingles have a decent lifespan, it's important to inspect your roof at least once a year - whether it be done visually or by an expert - and check that all pieces are in place and there is no water infiltration. It's also important to clean up any debris accumulation or any objects that could damage your shingles' condition. Maintenance is key to ensuring that your shingles last through our cold winters and hot, humid summers. Metal is an extremely resilient material and its lifespan is quite long: often lasting over 50 years before needing to be replaced! 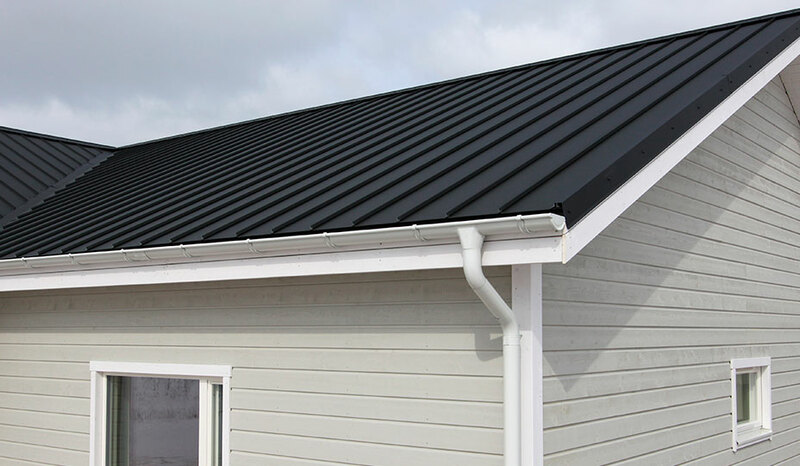 As with asphalt shingles, a wide variety of colours and styles are available and you're even able to repaint the metal if you feel the need for change or to refresh your roofing's look. Metal roofs are often recommended because they are easy to maintain, are of good quality for the price, and are generally recyclable. However, they can be expensive to get installed and the noise generated by rain or hail can be bothersome. These synthetic rubber roofing systems are highly resistant to the sun’s rays and can withstand cold Canadian winters without a problem. If they are well maintained, these roofing solutions can last up to 35 years. TPO/EPDM is an eco-friendly solution - from its manufacturing to the end of its lifespan. 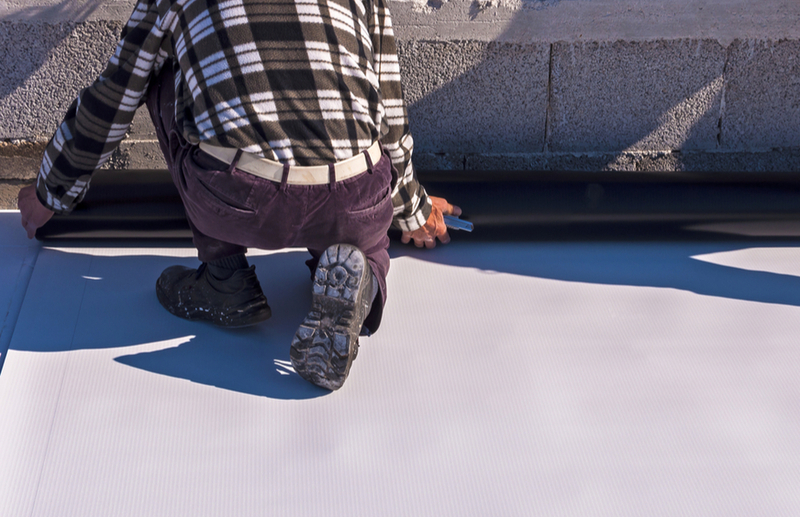 Most people opt for white-coloured TPO/EPDM as it allows to reduce the heat captured if it was otherwise installed in black - reducing the need for air conditioning. Though, since it is a single layer product, it is more fragile than other roofing solutions. If it tears, it can be almost impossible (depending on the location) to repair - even by a professional roofer. 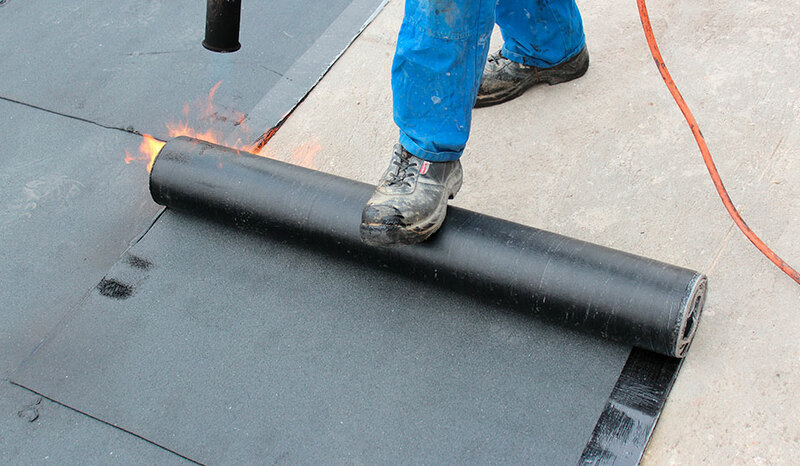 Seen as the new solution to gravel roofing, elastomeric membrane roofing is becoming increasingly popular. It's applied as a mixture that is unrolled and melted onto the roof to ensure the best seal. This kind of roofing can be installed by roofers at almost any time of year, and it can last up to 35 years. It is often considered a good investment for its turnkey quality/price ratio, and the fact that it requires fairly little maintenance. This material is less environmentally friendly than Thermoplastic Polyolefin (TPO), as it is made of asphalt. Tar and gravel roofing used to be quite popular in the past. However, it is slowly being replaced by TPO, EPDM and elastomeric membrane solutions. Why is this so? This type of roofing requires greater annual maintenance in terms of caulking, gravel distribution, annual drain cleaning, and so on. Despite the more demanding maintenance by professional roofers, gravel and bitumen roofing is an effective choice if properly maintained; and works well to protect your roof against water and drastic weather fluctuations. We all enjoy the view from a balcony, so imagine the view you might have from the top of your building. 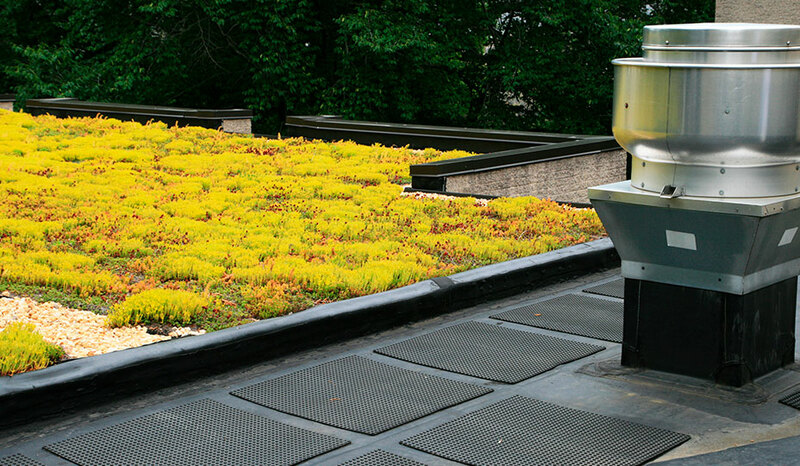 A green roof has several advantages: it is visually appealing, can create a healthier lifestyle, and can help you save on energy costs. You can make a garden on your roof and double the space as an extra living area on warmer days. In terms of energy costs, in the summer this roof reflects the sun's rays and keeps you insulated from the cold in the winter. It can, potentially, save you hundreds of dollars in heating and cooling costs each year. It is difficult to estimate the cost for a green roof or a rooftop terrace as it requires, above all, the intervention of an engineer for load calculations and potentially structural reinforcement. The time it takes to replace your roof truly depends on the kind of material chosen, the slope angles, and how large the surface area is. For instance, an average sized sloped roof can get its shingles replaced in 1 to 2 days. For a flat roof, though, it can take between 5 and 7 days. When should roof replacement plans begin? The best time to get your roof replaced is anytime between March and October. However, if you want to be sure to find a roofer to get the job done, we suggest making calls as of February. Although it may seem quite early in the year, the demand for roofers is fairly high year after year, so it's better to get prepared early as contractors get booked quickly. Simply redoing your roof isn't enough. The roofers you choose to hire will also need to make sure that ventilation is adequately installed. This way, you're sure to avoid issues related to mold, to structural damages, as well as to water damages. Proper ventilation also has potential to extend your roof's lifespan. If you're looking for the best roofers for your roof replacement, Reno-Assistance can refer you to 360° Verified Contractors with proven track records. Our Renovation Advisors will only pick the best-suited roofers for your roofing project. They'll take into consideration whether you have a flat or sloped roof, which material you would rather have for your roof, your priorities, as well as your availabilities. Of course, they will also be sure to refer you to roofers in your region. We will refer up to 3 of the best-suited roofing contractors for your project to ensure that you receive a quote at a fair price. A roofer competing for your project will have no choice but to be competitive if they wish to work on your roof renovation. Your Renovation Advisor can recommend the right roofing contractor to carry out your roof renovation project at the best possible price. And, since every roofing contractor's ranking is based on the satisfaction of previous customers, you'll be sure to be referred to highly qualified roofers. You will also be provided with the referred roofers' 360° Verification report to allow you to make an informed decision. "I'm here to help you with your roof project"